Let’s continue our survey of campaign finance reports with reports from the city of Houston. As we now know, there will be no city elections of the non-referendum kind on the ballot this November. That would be one reason why there are no reports from anyone who has not already been a candidate. Only a couple of the reports belong to people who are not current or term-limited officeholders. These are folks like Bill Frazer, and none of them have any cash on hand worth mentioning. Actually, there is one person who may be of interest here, and that’s Helena Brown, who could run again in District A to succeed Brenda Stardig. Brown has $18,911.19 on hand, which would not be a bad start if she were so inclined. I don’t want to dwell too much on this, but had the State Supreme Court dropped an election on us out of the blue, there was basically nobody outside of the current incumbents who have any resources for it. Usually, at this time of an odd numbered year, there are a lot of non-incumbent candidates, mostly circling around the offices that will be vacant. Whether people didn’t think the Supreme Court would take action, or if we were all just in denial about it, there were no candidates out there raising money. In a world where the Supremes had intervened, incumbents and people who can provide at least startup capital for themselves would have had a sizable advantage. Now for those incumbents. We all knew Mayor Turner could raise money, right? All Houston Mayors can, it kind of comes with the office. Don’t underestimate the resources he could bring to a campaign over the firefighters’ pay parity proposal. Despite the advantages for incumbents I talked about, four of the seven biggest cash on hand balances belong to those who can’t run – term-limited CMs Starding, Davis, Laster, and Green. Starding in particular makes me wonder what she was up to, raising all that cash this year. Usually, that makes one think maybe she’s looking at her next opportunity to run for something. I have no idea what that might be, but feel free to speculate wildly in the comments. Mike Laster has been mentioned as a county candidate once his time on Council ends. Maybe County Commissioner in Precinct 3 in 2020? I can speculate wildly too, you know. I have a couple of PAC reports in there. HHRC is the Houston Heights Restaurant Coalition, gearing up for the next Heights alcohol referendum. HTPR is the Houston Taxpayers for Pension Reform, with Bill King as its Treasurer. Maybe that was for a vote on forcing a switch to defined-contribution system that is not in the works? They didn’t have much activity, and most of their expenditures went to an outfit called PinkCilantro for advertising. Other PACs of note with reports are Campaign for Houston, which I believe was an anti-HERO group from 2015 and have a $50,000 outstanding loan, and Citizens to Keep Houston Strong, which belongs to Bill White and which has $56,734.11 on hand. Finally, two reports from former officeholders. Anne Clutterbuck, who was last a candidate in 2009, filed a final report, to dispose of the remaining funds in her account. She donated the balance – $5,094.55 – to the Hermann Park Conservancy. Last but not least is former Mayor Annise Parker, whose account still has $126,013.31 on hand. She may or may not run for County Judge next year – she has talked about it but so far has taken no action – and if she does that’s her starter’s kit. I’ll have more reports in the coming days. When might the Supreme Court speak on the Houston term limits lawsuit? So as you know there is an ongoing lawsuit over the language used in the 2015 referendum that altered the city’s term limits ordinance. It was filed shortly after the election, with the city winning the first round in district court. Appeals are ongoing, with the most recent ruling coming this past January on a procedural matter. In addition to all this, the plaintiff in the original suit filed a writ of mandamus with the Supreme Court on June 2 that asks them to direct the district court judge to vacate his previous order allowing the 2015 result to stand and to require city elections this November. I’m on the plaintiff’s attorney’s email list (for my sins, no doubt) and as he sent out a missive last week urging his followers to contact the Supreme Court and ask them to rule on the writ in time for an election to occur, I figured I ought to bring this up. So as we are now halfway through June, I have to think that time is rapidly running out for a non-farcical election to be conducted this November. Normally at this time, multiple candidates for a variety of offices, especially the open ones, will have been at work for months. There are always people who pop up to run in July and August, including a few at the filing deadline, but by this point you usually have a pretty good idea of who is out there. Funds have been raised, materials have been printed, websites and social media presences have been built, volunteers have been recruited, etc etc etc. Campaigns require resources, and one of those resources is time. We’re basically four months out from the start of early voting. To get a campaign up and running from scratch, especially for an At Large position, that’s not a whole lot of time. It could be done, but it would greatly favor those who already have some of the other resources, namely money and some amount of name recognition. In other words, incumbents and people who can write a check to get their campaign going quickly. For what it’s worth, the Supreme Court issued a ruling requiring a vote on HERO on July 24, 2015, which was in response to a writ of mandamus. That was about a referendum and thus didn’t directly involve any candidates, though I’d argue that it had a negative effect on the pro-HERO side, since the antis had been gearing up for a campaign for some time by then. Let’s call that the outer bounds of when a writ mandating city elections for this year may happen, though really I’d say that’s too late. Bear in mind that Council members Brenda Stardig, Jerry Davis, Ellen Cohen, Mike Laster, Larry Green, and Jack Christie are all in their last terms one way or the other, so if those terms wind up ending this year instead of 2019, a whole gaggle of hopefuls are going to have to get up to speed immediately. There’s no question that the Supreme Court has no qualms about meddling in the affairs of the city of Houston, but that doesn’t mean it feels compelled to do so. We ought to know soon enough. Mayor Sylvester Turner plans to ask City Council to vote this month on joining lawsuits challenging the constitutionality of Texas’ new “sanctuary cities” law, ending months of equivocation on the controversial immigration enforcement measure. If City Council votes to sue, Houston would join San Antonio, Austin, Dallas and several other local governments already challenging the state or planning to do so. “I will ask this month City Council to consider and vote to join the lawsuits challenging the constitutionality of SB4,” Turner tweeted Thursday morning, after the Houston Chronicle ran a front page story about his decision to remain on the sidelines of debate over the statute. Here’s that front page story. You can see what a change of direction this is. Turner has asked the city attorney’s office to review the law known as Senate Bill 4, which allows police to ask people their immigration status if detained even for a routine traffic stop, but otherwise continues to deflect questions about whether he plans to challenge it. That has meant carefully sidestepping the term “sanctuary city,” while touting Houston as a diverse, “welcoming city” and assuring residents that Houston police will not violate their constitutional rights. On Wednesday, the mayor attempted to redirect attention to Austin by urging Houstonians to take up their concerns at the Capitol, even though the law has been signed and the Legislature is not slated to revisit the issue during its July special session. So Houston may follow in the footsteps of San Antonio and Bexar County and Dallas, if Council goes along. According to the full Chron story, it looks like that will happen. Houston could sue over SB4 without City Council approval, but Turner nonetheless promised a vote. City Council is in recess next week, meaning a vote would come June 21 at the earliest. As of Thursday, the left-leaning City Council appeared to be breaking along party lines, with Democratic members largely favoring a lawsuit and Republican members generally opposed. District C Councilwoman Ellen Cohen also plans to vote to sue, citing concerns that the law could discourage victims from reporting crimes, echoing law enforcement leaders across the state, including Houston Police Chief Art Acevedo. “We now have a percentage of the population that, out of fear for their own lives and deportation, won’t report, and it jeopardizes women’s lives and others,” Cohen said. At-large Councilman Michael Kubosh said he opposes a lawsuit because of the potential cost. He and others also worried that suing the state could put Houston at risk for losing federal funding. Two council members, Mike Laster and Brenda Stardig, declined to say how they would vote, and at-large Councilman Jack Christie said he was likely to abstain. There’s a sidebar on the story with a vote count for when this does come before Council (and while it could come as early as June 21, you can bet your bottom dollar someone will tag it for a week). Counting Mayor Turner, there are eight Yeses, five Nos, Christie’s abstention, and three who declined to comment or could not be reached. Of those three, I’d expect two Yeses – Mike Laster, who has since suggested on Twitter that he would likely vote in favor, and Jerry Davis – and one No, Brenda Stardig. You should probably reach out to your Council member and let them know how you feel about this. In the meantime, I agree with Campos, this would not have happened, at least at this time, had not there been pressure from the Texas Organizing Project and the DREAMers. Activism works, y’all. The Press has more. 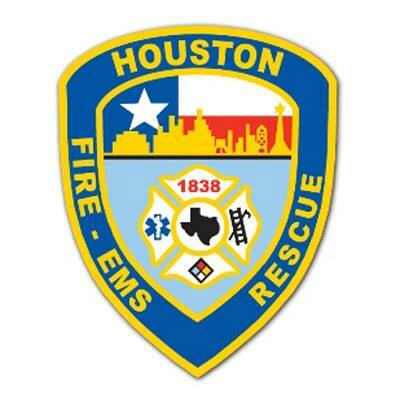 Six months after Houston’s top cop retired and 10 months after Houston’s fire chief resigned to take another job, both departments remain without permanent chiefs, prompting concerns that public safety could suffer during the transition to permanent leadership. The delays are already among the longest in decades at a time when community pressures are mounting on local agencies. “We need leadership right now, and no one wants to make any moves until a chief is named,” one longtime police investigator complained recently. Acting Police Chief Martha Montalvo, a Houston Police Department veteran, has led the agency since Mayor Sylvester Turner named her to the interim post in mid-February. Acting Fire Chief Rodney West has been at the helm since before Turner took office in January. Both Montalvo and West are reportedly interested in the positions. City officials say the administration has been occupied with passing the city’s budget, dealing with historic flooding and responding to the high-profile murder of an 11-year-old boy in north Houston earlier this year and the recent, controversial shooting by police of an African-American man in south Houston. Turner’s office has remained tight-lipped about the searches. The story goes on to note that while Mayor Turner is taking longer to name HPD and HFD chiefs than what we are used to, it’s not out of line for similar appointments in other big cities. I can’t speak to how any of this affects the internal dynamics of either organization, but at least for HPD there are some big issues involving things like recent shootings of civilians and how body cameras are being used for which it would be nice to get some clear direction. It’s better to be right slow than to be wrong fast, so as long as Mayor Turner gets the right people in place in not too much longer, all should be fine. The Mayor clearly isn’t going to be rushed, so we may as well wait till he’s ready to make his choices. Mayor Turner wants UBER to stay, but they must follow the city’s ordinance that requires a CRIMINAL BACKGROUND CHECK and FINGERPRINTS. Council Member Michael Kubosh said that all public service drivers for buses, cabs, train, limos, shuttles and jitneys require the same CRIMINAL BACKGROUND CHECK and FINGERPRINTS. They must follow the rules. They came to Houston during the 2014 Rodeo operating illegally and the City Council changed the Ordinance to make room for their business model. NOW LOOK WHAT THEY ARE WANTING. Which got me to wondering about other Council members and what they thought. Of the five Council members that voted against the original ordinance in 2014, four remain on Council: Kubosh, Jack Christie, Jerry Davis, and Mike Laster. I went looking, via Google, Facebook, and Twitter, to see who else has had something to say. Public safety is my top priority. Need to make sure all drivers have been vetted whether it's Uber, taxis, or any other vehicle for hire. I voted in favor of Uber & other riding companies entering Houston. Fingerprinting is required for all companies & taxis. #EvenPlayingField. Mayor Sylvester Turner wants uber to stay in Houston, but wants the company to operate under the same rules as other transportation companies. Uber wants to eliminate regulation for its drivers to have city fingerprint check. Rather, uber wants to use its own background check. Mayor says uber’s background check inadequate. Your thoughts? Comments on that post ran more in Uber’s favor than against, for what it’s worth. Also for what it’s worth. all four of these Council members – Kubosh, Martin, Stardig, and Travis – are Republicans; so is Jack Christie among the No votes from 2014, while Davis and Laster are Dems. I mention that mostly to note that if Uber is trying to make a free-market/deregulation argument, it’s not working on the kind of people you’d think it might work on. This discussion is just getting started, and Lord knows Uber is willing and able to dump a ton of resources into winning it, so this is hardly a final whip count. But clearly, Uber has some ground to make up to win this one. I’m hoping one gets found. Texas Central Partners, the private firm proposing the Houston-to-Dallas line, briefed a city council committee Monday, telling officials they remain on track to break ground in late 2017. “That might slide into early 2018,” said Shaun McCabe, vice-president of Texas Central Railway. Any connection to downtown, which would likely require public funding, would be built later, said Holly Reed, manager of external affairs for Texas Central Partners. “I am concerned there is a possibility of land-locking my district,” District A Councilwoman Brenda Stardig said, noting details have made it hard to determine the traffic effects the line will have. The train line would run parallel to U.S. 290, Hempstead Highway and a freight rail line, which Stardig said could be too much for the area to overcome in terms of crossings and large impediments cutting the neighborhoods in half. The lack of a downtown connection, meanwhile, continues to worry some officials, including [District K Council Member Larry] Green and Mayor Sylvester Turner. Houston Public Works has a pending request for proposals for an engineering firm to study the downtown link in greater detail. Green said the study would give Houston more information about the importance of a downtown link, which would then be turned over to the company so they can consider a possible link. Reed, the Texas Central spokeswoman, said the company would consider any alternative outside its own plans as “complimentary” to its own plans. She compared the Houston discussion to a similar conversation happening in the Dallas area, where a link to Fort Worth is being studied. That extension, however, is predicated on public funding, Reed said. I would point out that the Gulf Coast Rail District is studying this issue as well, and as noted in that first link if anything comes of this it would involve multiple entities, including the GCRD, H-GAC, Metro, TxDOT, and the city of Houston. How that would work, where such a connector would be located, who pays for what – those questions and many more remain to be answered. The point is that someone is at least thinking about them. As for TCR, their draft environmental impact statement is expected in summer or fall, and there will be public meetings after that, as there were with Metro and the light rail lines. I’m sure some of them will be quite eventful. The deadline for responses to the city’s request for a study of options connecting the high speed rail terminal to downtown is May 27. KUHF has more. Still sorting it all out. Months after statewide body camera legislation took effect and the Houston Police Department outlined its policies regarding the devices, local criminal justice watchdogs worry that some video from high-profile incidents may never see the light of day. At issue, they say, are provisions in the law that could stymie requests for camera footage, privacy protections, and local departmental reluctance to release information. When the Legislature passed SB 158 last year – easily in the House and with some opposition in the Senate – it was touted as a way to bring more transparency to law enforcement. 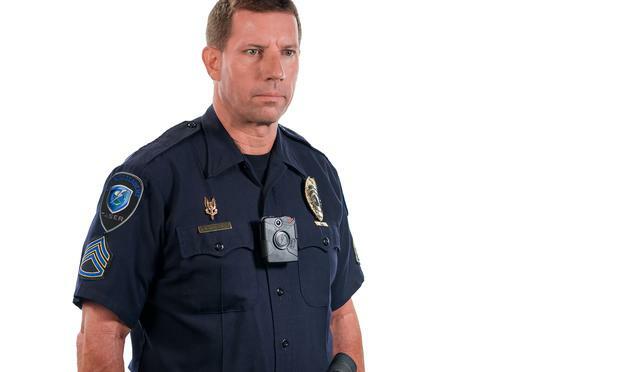 The legislation was enacted as police departments across Texas began weighing the use of body cameras and its intent was to set statewide policies for their use and establish a grant program for departments to defray costs. But six months after it went into effect, civil liberties and open government activists are concerned that the law may make it harder for the public to obtain footage of controversial interactions between civilians and the police than it is to obtain other information under the Texas open records law. Among the concerns, they argue is that the law gives police more time to decide whether to release the footage and it protects footage shot in a “private space,” such as a home. Also, people requesting it are required to provide the date and time and the name of at least one individual involved in the incident and it allows agencies to charge more for processing the release. Kelley Shannon, with the Texas Freedom of Information Foundation, called the new law “a good step in the right direction,” but pointed out that some of its provisions were more restrictive than the state’s policies regarding dash cam video. “It might put up a hurdle that some people may not realize exists,” she said. Kim Ogg, a Houston attorney and candidate for Harris County district attorney, who was among those addressing their concerns recently to the Houston City Council, said footage from the cameras may not be as accessible as people may think. As we know, this has been an issue in Houston, and continues to be one. Some of this is because this is all new and we’re still figuring parts of it out, some of it is because of the natural tendency to want to keep things secret, and some of it is because the current state law is unclear. The courts will address some of the latter, and the Lege is sure to revisit things in 2017. Some of it will need to be addressed by the public raising a fuss. It’s going to be a process, and the more engagement everyone has in it, the better. On a tangential note, I came across this Ars Technica story a few weeks ago and have been waiting for a reason to mention it. One of the world’s most prolific computer worms has been found infecting several police body cameras that were sent to security researchers, the researchers reported. According to a blog post published last week by security firm iPower, multiple police cams manufactured by Martel Electronics came pre-installed with Win32/Conficker.B!inf. When one such camera was attached to a computer in the iPower lab, it immediately triggered the PC’s antivirus program. When company researchers allowed the worm to infect the computer, the computer then attempted to spread the infection to other machines on the network. That’s from November, so it’s certainly possible that this issue has since been addressed. The point is, Conficker was malware from 2008. Your modern OSes are not affected by it. For it to have been found on these body cameras speaks volumes about security practices and software versions, none of it good. This doesn’t have anything to do with the question of how body camera data should be used and accessed, but it is a question to keep in mind. And as long as we’re talking security, CM Stardig was quoted in the Chron story in favor of a cloud solution for camera data storage. I think that’s fine, and it’s in line with current corporate practice, just make sure that standards and penalties are clearly spelled out in any agreement that gets signed. While there’s time to figure out the best practices for making the data public, safeguarding it is well-established. Let’s get that right the first time. I’m too lazy to think of a clever title for this one. Brenda Stardig is on the verge of completing her nonconsecutive second term as district councilwoman, and she has earned a third. Stardig, 53, came into office with a resume impressive in its breadth and depth of civic involvement. She served on her neighborhood civic club, was head of a superneighborhood, sat on a tax increment reinvestment zone, a chamber of commerce and the Houston-Galveston Area Council. However, she was booted after her first term in a low-turnout election and replaced by Helena Brown. Rather than a constructive member of council, District A found itself with a ineffective rabble-rouser representative. Two years later, voters put Stardig back on council and she started to put important infrastructure projects back on track. Stardig said she opposed the Houston equal rights ordinance because she believed there were other ways to address discrimination. While we believe that Stardig was wrong in her vote, she fares much better than her opponent. Iesheia K. Ayers-Wilson, a 35-year-old tax preparer, told the editorial board that she thinks businesses should be allowed to discriminate against people based on religion. I got this one right, though it’s not like there was anything to it. I suppose we all owe Ms. Ayers-Wilson a bit of gratitude for demonstrating so succinctly that it’s always possible to coarsen the debate on a matter of public policy. Do you think it ever occurs to people like that that they could be discriminated against, or is it just the case that they think they already are by not being allowed to discriminate freely against others? And yes, I know I’m saying that about a candidate in the district that once elected Helena Brown. It can always get worse. The Houston Parks and Recreation Department and Houston Parks Board recently celebrated the completion of the White Oak Bayou Path, the first in a series of projects creating a more connected system of hike-and-bike trails in the city. Mayor Annise Parker and District A council member Brenda Stardig joined the organizations for a ribbon cutting ceremony on Thursday, July 9. Joe Turner, director of the city’s parks and recreation department, said that funding for this project was made possible through a $15 million federal Transportation Investment Generating Economic Recovery grant for regional bike and pedestrian trails. The grant will fund six projects. The White Oak Bayou Path covers a stretch from Alabonson Road to Antoine Drive where pedestrian traffic had been previously blocked. These gaps, where the paths don’t meet, caused users to stop and turn around. Closing the gaps they connects paths to make thoroughfares. The other projects include the White Oak Bayou Path between 11th Street and Stude Park, as well as a connection to residential neighborhoods from the path and to Buffalo Bayou Path, which will also include a .3 mile gap closure between Smith and Travis. East downtown will gain connections between transit, residential and commercial spaces, totaling 8.6 miles of gap closures. Brays Bayou Path will also benefit from a 1.6 mile gap-closure project and a .6 mile alternative transit path. Turner said that once all of the projects are completed, the city will have an alternative transportation system with connected off-road hike-and-bike trails. Roksan Okan-Vick, executive director of the nonprofit Houston Parks Board, said this segment is an important piece of the Bayou Greenways 2020 project, which will create a continuous system of parks and 150 miles of hike-and-bike trails along Houston’s major waterways. “We have a fairly large and ambitious project underway,” she said. Okan-Vick said the Houston Parks Board was successful in securing a Transportation Investment Generating Economic Recovery grant. “We did the legwork, and we were lucky enough to be approved for the grant,” she said. Okan-Vick said that there are three gaps on White Oak Bayou that needed to be addressed. “This is the first one, and if you go further downstream, there is another we are working on,” she said. 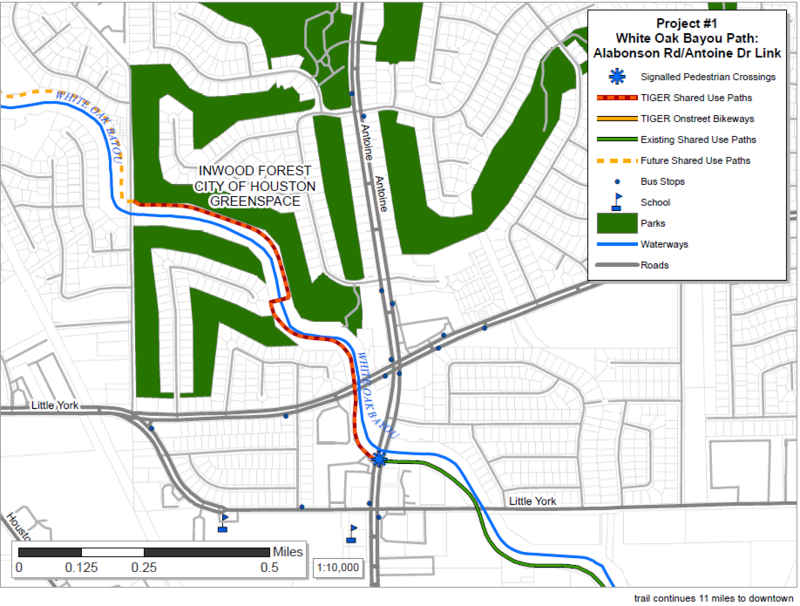 I’m a big fan of this project, which covers a lot of territory and will greatly add off-road capacity for walkers and bicyclists. Longer term, other parts of this project will help make some dense infill development better for residents and neighbors. It will be an enduring legacy of Mayor Parker’s administration. Good work, y’all. Houston’s foodie community rejoiced Friday as Mayor Annise Parker welcomed propane-fueled food trucks downtown after a years-long ban, but more plans to loosen the city’s mobile unit rules are not likely to meet the same fanfare at City Council in the coming months. Parker bypassed council to remove the restriction on propane-fueled food trucks downtown, citing a fire marshal opinion that tanks weighing up to 60 pounds are safe. Two other industry changes on Parker’ food trucks agenda – letting the trucks use tables and chairs and removing 60-foot spacing requirements between mobile units – need to go through council members, whose opinions on food trucks vary by district. Council Member Brenda Stardig has proved a particularly vocal critic, calling for more food truck inspectors. Council Member Robert Gallegos also said he would like to ramp up enforcement before loosening the rules. Gallegos’ district runs from downtown to the East End. See here for the background. CMs Stardig and Gallegos have valid concerns, and the city says they are working to address those concerns. It should be noted that the city has more food truck inspectors per capita (three for 800 trucks, or one for every 267) than it does restaurant inspectors (30 for 13,000, or one for every 433). I hope we can agree on what needs to be done to address the issues that have been raised so we can move forward on this. We’ve done HERO, we’ve done vehicles for hire, what other high profile issues are there out there? Oh yeah, food trucks. I’d almost forgotten they were still an agenda item, but they’re back and they should be getting a vote soon. Proposed changes to three major ordinances could provide food trucks with new freedom. While the commissary requirement isn’t changing, the other three regulations will be going away if the Houston City Council approves recommendations developed over the last two years by a task force that includes representatives from various city departments, food trucks and the brick and mortar restaurant community, as represented by its lobbying group, the Greater Houston Restaurant Association. Spanjian also notes that the city’s increased density makes separating downtown and the Medical Center from other, similarly populated areas like Greenway Plaza and The Galleria somewhat illogical. Removing the 60-foot spacing requirement between trucks is another change to the fire code that reflects confidence in the Fire Department’s inspection routine and spot checks of truck operations. Both of these changes are being made as part of larger updates to the fire code, which happens every three years. Spanjian expects them to come to a vote before Council early next year. Spanjian also notes that the 100 foot rule should never have been in the health code. “There’s no health issue with a food truck being near tables and chairs. It doesn’t belong in the health care requirements at all,” she says. The last mention I had of this was in November, right after Mayor Parker’s re-election, in which she promised that there would be a vote on a food truck ordinance by the end of this year. Before that, the news is all from 2012. If the Greater Houston Restaurant Association really is on board, or at least not opposed, that should clear the way. This Chron story from yesterday’s Quality of Life committee meeting sheds a bit of light and also suggests what in retrospect is an obvious parallel. “Deregulating food trucks will create major challenges for small businesses,” said Reginald Martin, president of the Greater Houston Restaurant Association, which represents more than 4,100 industry members. Council members Brenda Stardig and Jerry Davis both emerged as critics of loosening the food truck regulations, largely because they were concerned about competition with established restaurants and enforcement of food truck rules. Council member Ed Gonzalez said the city should not be in the business of “protecting someone’s monopoly.” He also played down concerns about some food trucks violating city code, something he said was no different from restaurants that break rules. “I don’t think we should punish all 800 trucks or new entrants simply because there are the bad apples out there,” Gonzalez said. I’m not the only one who hears an Uber/Lyft echo in all that, am I? Please tell me I’m not the only one. Anyway, if all goes well we should see a Council vote on this in September. I look forward to seeing it get resolved. Link via Swamplot, the Chron editorial board is still in favor, and the Houston Business Journal has more. Technology companies that have unapologetically disrupted vehicle-for-hire markets in cities across the country will be able to operate legally in Houston after City Council on Wednesday ended 16 months of wrangling by approving new rules. 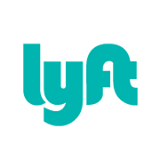 Council voted 10 to 5, with two absent, to open the heavily regulated paid ride market in Houston to new entrants, such as Uber and Lyft, that use smartphone applications to connect willing drivers with interested riders, using the driver’s personal car. 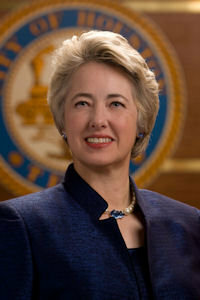 Mayor Annise Parker, who supported the rule changes but has made no secret of her desire to move on to other topics, said the months of delay were driven by the difficult issues at play, as well as the measure acting as a “full employment opportunity for lobbyists” as an entrenched, regulated industry fought well-funded, innovative startups. Yellow Cab President Roman Martinez said he also is happy the discussion is over so his contracting drivers can return to the streets. He said he does not see the vote as a loss, though he acknowledged the failure of an amendment to cap the number of Uber and Lyft drivers allowed to enter the market – by a 9-8 vote – was significant. 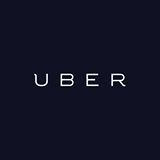 Uber spokeswoman Lauren Altmin said the vote shows the power of citizen support for her company’s services, and said it shows Houston’s commitment to innovation. In opposing the ordinance itself, Council members Laster, Jerry Davis, C.O. Bradford, Michael Kubosh and Jack Christie pointed to the absence of caps and round-the-clock insurance as key reasons. Kubosh echoed Martinez’s comment about a level playing field. The mayor said drivers for Uber’s luxury sedan service, UberBLACK, can begin registering with the city immediately, while drivers for the taxi-style services Lyft and uberXmust wait 90 days to sign up. That likely will not stop Uber or Lyft from continuing to operate, given that the firms launched illegally in February and have racked up more than 800 citations between them and their drivers since then. There were a bunch of amendments offered, with perhaps the most interesting being proposed by CM Laster that would have limited the number of Uber/Lyft-type drivers to 250, Seattle-style. That was defeated 9-8, which may be just as well. There was a requirement added for a minimum of 3% of all vehicles for hire to be wheelchair accessible (see this press release from CM Brenda Stardig) with a proviso that it can’t be met by one company alone. 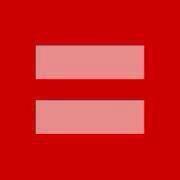 Whether that will have an effect on the recent litigation filed by disability rights activists or not, I don’t know. I do know I’m glad that this is over, and I suspect you are, too. Your turn now, Dallas and San Antonio. The Houston Business Journal and The Highwayman have more. After nearly nine hours of chanting and tears from seas of opponents and supporters in color-coded T-shirts, Houston City Council passed an ordinance on Wednesday extending equal rights protections to gay and transgender residents. Despite weeks of discussion and dissent over the measure, the final vote was 11-6, a count that matched guesses made months ago, when Mayor Annise Parker — the first openly lesbian mayor of a major American city — said she planned to bring forward such a measure. The approval was greeted with thunderous applause from the audience, largely full of supporters, and chants of “HERO,” for the Houston Equal Rights Ordinance. That’s the early version of the story. I’ll update later from the full story when I can. While the vote was 11-6, it was a little different than I thought it might be – CM Richard Nguyen, who movingly said that his 6-year-old son told him to “just be brave”, was a Yes, while CMs Jack Christie and – very disappointingly – Dwight Boykins were Nos. The other four Nos, from CMs Stardig, Martin, Pennington, and Kubosh, were as expected. I don’t have much to add right now – despite the final passage, this story is far from over, so there will be much more to say later. I have no idea if those half-baked recall and repeal efforts will go anywhere – we’ll deal with them if we must – but I do know that a lot of folks will have some very long memories in 2015. I’m proud of my city, proud of the Council members who voted with Mayor Parker, proud of Mayor Parker for getting this done, and really really proud of all the supporters who packed City Hall to tell their stories and witness history being made. Well done, y’all. Think Progress, PDiddie, and Rep. Garnet Coleman have more. UPDATE: Here’s the full Chron story, which includes a heaping dose of Dave Wilson and his many petition drive threats. I’ll deal with all that in a subsequent post. The proposed non-discrimination ordinance was on Council’s agenda yesterday, but it did not come to a vote as it was tagged, which means it’ll be voted on next week. The Chron’s preview story gave some insight into what we should expect from the ordinance based on the experience of other cities that already have protections for sexual orientation and gender identity in their local codes. Houston handles discrimination complaints from city employees and sends a hundred housing complaints to federal authorities each year, [city attorney David] Feldman said. The work added by protecting sexual orientation and gender identity and covering places of public accommodation may be modest. Fort Worth has received five complaints against places of public accommodation in the last two years; Austin typically sees three or fewer per year. Since passing its nondiscrimination ordinance last fall, San Antonio has learned of three incidents of alleged discrimination in areas other than housing, all against transgender or gay residents. The events, one involving a city contractor and two involving businesses that serve the public, have not yet resulted in formal complaints, said deputy city attorney Veronica Zertuche. One city employee also has filed a complaint based on sexual orientation, she said. In El Paso, deputy city attorney Laura Gordon said she is aware of two incidents of alleged discrimination in places of public accommodation, both from gay couples, and neither of which resulted in a complaint. El Paso does not cover private employment. Feldman said a Dallas official reported that city has received 12 complaints not related to housing in the decade that its ordinance has been in effect. Feldman said he foresees Houston fielding more employment and public accommodation complaints than other cities, due, in part, to its size. Houston’s added workload also would be limited by its exemption for businesses with fewer than 50 employees. Fort Worth and Austin exempt businesses of 15 or fewer employees, matching federal and state laws. Texas Workforce Commission data show 29 percent of the state’s private workforce is employed by firms with fewer than 50 workers. See here and here for the background. An amendment proposed by CM Robert Gallegos would lower the threshold to 15 employees; we’ll see how that one goes. As there will be another public session of Council on Tuesday the 13th, with the vote scheduled for the 14th, there will be another opportunity to address Council and show your support for the ordinance and CM Gallegos’ amendment. Email citysecretary@houstontx.gov to get on the list of speakers for that. The late Wednesday story has more on the amendments. Councilman Oliver Pennington proposed the most substantial changes to the measure, seeking to exempt all private employers and to permit discrimination in the sale or rental of a single-family home if the seller or landlord owns eight or fewer homes; the current drafts exempts the owners of three or fewer houses. Pennington also seeks to allow a first-offense conviction to be dismissed if the person is not convicted of discrimination again within a year, and wants to let someone accused of denying a transgender person access to the public restroom of his or her choice to have the complaint dismissed by submitting an affidavit explaining the decision to deny access. Other council members sought to strengthen the ordinance. Councilman Robert Gallegos wants the measure to cover more private employees by dropping the proposed exemption for businesses that employ fewer than 50 workers to those with 25, and then to 15 over two years. That change had been advocated by the Houston GLBT Political Caucus, which said the stated exemption left too many workers unprotected. CM Pennington’s amendment is a non-starter. CM Gallegos’ amendment is the one to watch. Most of the rest were technical in nature. [Mayor Annise] Parker and 11 of the 16 City Council members agreed last fall to support a nondiscrimination ordinance. Some members have expressed concerns about the item, however. The 11 Council members that stated their support for an NDO in their screening questionnaire for the Houston GLBT Political Caucus are listed here. Of those 11, CM Christie has waffled a bit, but I think in the end he’ll be a Yes. In addition, based on his willingness to engage on the issue and the feedback I’ve heard, I have hope that CM Kubosh will vote in favor as well, though he expressed some doubts in Wednesday’s story. CM Nguyen is hard to read, CM Martin is a firm No, CM Pennington is a likely No, and as of Tuesday CM Stardig is a No. I recommend you read Brad Pritchett’s response to CM Stardig, as he says what needs to be said. It’ll be interesting to see how that plays out in 2015. Be that as it may, I expect this to pass with a healthy majority next week, and about damn time for it. Texpatriate has more. Not sure what all the fuss about this is about. Developers eager to purchase the high-profile U.S. Postal Service site downtown – envisioned in recent years as a park, outdoor amphitheater or a development with housing and entertainment venues – are competing for the property with the city of Houston, which is considering putting its new justice complex there. Some private interests have sought to dissuade city officials from seeking the 16-acre property, at Bagby and Franklin just east of Interstate 45, which went on the market last fall. Councilwoman Brenda Stardig said she learned the city had bid on the site from developers, and has spoken with Brad Freels of Midway Development about his concerns with the city’s involvement. Freels could not be reached for comment. Stardig said she is sympathetic, noting the redeveloped site could be a “jewel” for the city, not to mention a boon for city coffers. “Unless there’s a real need, I’m not very supportive of having the city competing with private developers on prime real estate in the city, from a cost factor and for many other reasons,” she said. The city’s interest, said some City Council members and city officials, is driven by a desire to start fresh on the post office site rather than rebuilding at the current cops-and-courts complex at 61 Riesner, where construction crews would have to work around existing facilities. Other officials said the site could have uses other than for the justice complex. Councilman Jerry Davis said he was told the city could recoup the purchase price of the 16-acre post office site by selling the 18-acre tract on Riesner, which is just west of the post office site. Any developers stirring dissent about the city’s involvement likely are doing so out of self-interest, Davis said. The Riesner site is home to five aging facilities, including Houston’s central jail and the main municipal courthouse. A study concluded the buildings need $55 million in repairs. Police headquarters at 1200 Travis also needs work and is too small, officials have said; it would be sold and consolidated into the new complex. The new facility would not house a jail, thanks to voters’ approval last fall of a joint city-county inmate processing center. I have no problem with the city bidding a fair market price for this property. They have a purpose in mind for it, and they can recoup much if not all of the purchase price by selling off the properties that would be vacated if they bought and renovated this site. Sure, it would be nice to have some kind of mixed-use development there, and if Metro ever does build an Inner Katy light rail line, this location would be just about perfect to tie it into the existing Harrisburg and Southeast lines, but there’s no guarantee of either of these things happening. If the city’s perfectly legitimate interest in this parcel – and let’s be clear, it may never get past the “interest” stage – forces developers to make more competitive bids, then that’s fine by me. If a private investor winds up buying this property, I feel pretty confident they’ll be able to get a nice return on it. Mayor Parker has a decent amount on hand, not as much as she had after some other elections, but then she won’t be on any ballot until 2018, so there’s no rush. I know she has at least one fundraiser happening, and I’m sure she’ll have a solid start on fundraising for whatever office she might have her eye on in four years’ time. And speaking of being prepared for the next election, CM Costello is in pretty good shape, too. It’ll take a lot more money than that to mount a successful campaign for Mayor in 2015, and there are likely to be several strong candidates competing for the usual pots of cash, but every little bit helps. The other At Large incumbents are in reasonable shape. Both Kubosh and Christie have done some degree of self-funding, so their totals aren’t worrisome. While I believe there will be some competitive At Large races in 2015, and not just in the two open seats, I don’t think anyone will be caught short in this department the way Andrew Burks was. I continue to marvel at the totals in the district seats. Many of those incumbents have been helped by not having well-financed opponents. CMs Gonzales and Pennington are well placed if they have their eyes on another race. Personally, I think CM Gonzales ought to consider running for City Controller. If nothing else, that will likely be less crowded than the Mayor’s race in 2015. CM Richard Nguyen, who was nicely profiled by Mustafa Tameez recently, received nearly half of his total – $9,500, to be exact – from various PACs after the election; this is called “late train” money. As far as the money he received from individuals, every one of them had a Vietnamese name. That’s some good networking there. Of the others listed, two of them – Ron Hale and Melissa Noriega – are running for something in 2014. The rest, with one exception, was either an unsuccessful candidate in 2013 or a term-limited Council member. 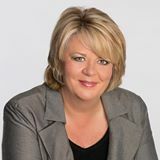 The exception is former CM Jolanda Jones, whose eligibility to run for something else remains disputed. The one notable thing in this bunch is the $25K that now-former CM Helena Brown had on hand. Given that CM Brenda Stardig left a lot of money unspent in 2011 when Brown knocked her off, there’s a certain irony to that. Beyond that, no one left themselves very much for a subsequent campaign if they have one in mind. I won’t be surprised if one or more people on this list runs for something again, perhaps in 2015, but if so they’ll be starting out as they did in 2013. Greg suggests a couple of tweaks to term limits. Section 6a. – Limitation of terms. No person, who has already served two full terms, shall be eligible to file for that same office. The statute is also amazingly unequal in how it applies a qualification for office. So much so, that I’m curious if this inequality provides an opening for a legal challenge. Basically, the law says that some folks get to serve three full terms and some only get to serve two full terms. If a candidate loses re-election to their second term (ala Brenda Stardig and Helena Brown), you have an entirely different qualification for office than someone who lost re-election to their third term (ala Jolanda Jones and Al Hoang). There haven’t been many parties aggrieved by this statute, so it seems to me that there might be improved odds of that happening now that we have two such individuals. I would think that there might be ground to make this application more equal by substituting equally simple language that limits any officeholder to no more than three full terms … period. That may not address any deeper concerns about the Clymer Wright-era limitations. But it does offer an incremental cleanup. And if it were to go through a charter amendment vote, it might be an easy enough one that it opens the door for public perception to see that elected officials aren’t trying to change the rules they have to abide by in the middle of the game. If you’re not sure about the public appetite for altering term limits, this modification would be a good test run. » Why not three? – Many Texas towns have three year terms. Why is there such an immediate impetus for four-year terms when there is already a more common model already being utilized throughout Texas? You could leave the term-limit language as-is or make the tweak above. Doing so would create a nine-year window of service for people. More importantly, it would also open Houston City Council to the whims of bigger electorates. If you really wanted to see a different City Council, the easiest place to start has always been to hold the election on even-numbered years. District A would be quite a bit more Dem-friendly, as would District F. My own District J, as it turns out, is as close to 50-50 in terms of partisanship among city year voters. That tilt would be eviscerated with an even-year electorate and the district would be reliably Dem-leaning. The rotating cycle of seats would lead to a seat being up for a vote in two odd-numbered election years for each six-year cycle. So there is some moderation to those swings that might be appealing. It would seem practical, under this scenario, to stagger the elections so that each individual year would see one-third of city seats up for a votes. I’m not sure who that may appeal to or be unappealing to, frankly. One positive that I can see from this is that it might lead to an increase in competition for seats. If an elected thought to run for Mayor one year after being elected to a council seat, they could. In short, there would no longer be an incentive to sit out six years when terms are the same – as they currently are for the office of Mayor and Controller. I completely agree with the first point, and also think it would have a decent shot of being passed. 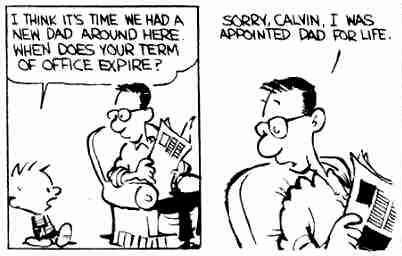 I think everyone already thinks of the term limits law as being “three terms max” and not “three terms unless you leave after your second term, in which case only two terms”. I’d add that there’s a third former Council member affected by the current interpretation – Peter Brown, who resigned a few days early in 2009 in an attempt to circumvent this; City Attorney David Feldman opined against it. In any event, I think this minor change is very doable. It’s straightforward enough that the plain wording of the amended ordinance would be easy enough for voters to understand and hard to argue against. Heck, I don’t even know what the case against it would be. If we want to go small, as a first step or as an end unto itself, this is a good way to do it. The second suggestion would be much more contentious. I’m not sure if it’s meant as a switch from three two-year terms to two three-year terms, or if it’s also intended to increase the overall allowable length of service while also addressing the concern about two year election cycles being too short, as the two four-year terms proposal was intended. If we were to go this route, I’d prefer the latter, but that may be a bridge too far. Here are the pros and cons of three-year terms as I see them. Higher turnout in at least half of city elections. Presidential years would exceed 50%, gubernatorial years would likely exceed 35%. Both are much higher than even high-turnout city elections have been. As Greg notes, this would almost surely make city government more representative of the city’s demographics. In particular, I’d expect this to be a boon for Latino candidates, at least in the even-numbered years. If you believe that two-year terms force Council members back into campaign mode too quickly, then having three-year terms should help alleviate that. You may consider this a pro or a con, but having three-year terms would likely force some ambitious Council members to rethink their strategy for seeking other office, since the Texas constitution would require them to resign if they run for office with more than one year remaining on their current term. That’s just not an issue now with two-year terms, but it would be an issue at least some of the time with three-year terms. That higher turnout will come entirely from people who otherwise would never vote in city elections. To put it gently, that could have an unpredictable effect on lower-profile and multi-candidate races. Having city elections in partisan election years will necessarily make city elections more partisan. Sure, there are partisan elements to city elections now, with some races being more overt than others, but the non-partisan nature of our races now basically ensures that the vast majority of candidates run as inclusive/consensus types. I expect you’d see much harder D and R lines being taken in even years. Again, one may consider that to be more pro than con, but it would be a change. Perhaps of greater concern is the likelihood that city races could get drowned out in a high-profile even year election. Imagine what city elections might look like this year, where we’re sure to get wall-to-wall ads in the Governor’s race for at least the entire month of October. Large disparities in turnout between even and odd years could make for more turnover on Council, as a candidate that got elected under one scenario might well get swept out under the other, in each case with candidate quality not being a major factor. I’m doing a lot of speculating here, and I could easily be wrong about some of these points, but I think they’re worth considering. Three-year terms would be a big change, some likely good and some maybe not so good. I still think a better answer is to get rid of term limits (which Greg also suggests) and to at least consider some form of public financing for campaigns. At the very least, I’d like to see a real conversation about what we think we’re getting out of imposing these particular limits on this one type of office. It’s been long enough now that I’m confident that “we’ve always done it this way” is the prevailing sentiment. Surely we can come up with something better than that. The Houston City Council will have its fewest women in 15 years this January, which political observers called a troublesome regression for one of the most diverse cities in the U.S.
Just two women will remain on the 16-member council. And for the first time in about 25 years, a minority woman will not hold a seat. There are currently four women on the council. Except for 1999, when there were also just two, the council has had at least three females in each of the last 25 years. It peaked at eight in 2005, according to data compiled by Rice University political scientist Bob Stein. Also, from 1989 until 1999, there were at least three women on council. Political analysts say the makeup, likely a result of chance, is not an optimal mix. Stein said a persistent finding in social science research shows that a higher proportion of women on governing bodies means less gridlock and more efficiency. He said some believe this is a genetic trait in women and also because women have different experiences than men. Stein said this election season saw a diverse group of candidates in the mix, including women, but the turnout was extremely low. He predicted it would be a challenging year for Mayor Annise Parker, who is heading into her final term with her sights on statewide office. In part, this will be because women may be more sympathetic to some of her issues, such as discrimination. Rice University’s Jones said because Parker will be at the helm of city government, the policy impact will not be dramatic, but that the new council makeup could draw attention to the under-representation of women in governing bodies. He said these election results were due to bad luck and he does not believe there is any broader anti-woman trends in Houston, noting several races where women were contenders. He also pointed out this low representation of women could persist because incumbents have such an advantage in future elections. I noted this last week. Took about as long as I figured it might for the Chron to write a story about it. As I said at the time, I think it’s a temporary aberration and not indicative of any trends. If the ball bounced a little differently in the first round of At Large #3, we might not be having this conversation at all. Or maybe we’d be talking about another missed opportunity, who knows. Be that as it may, I don’t quite understand the comment about turnout. Turnout this year was roughly the same as it was in 2009, and it was much higher than it was in 2011 or 2007. It’s not clear to me what effect turnout is supposed to have had on the outcomes. It’s not clear to me that a higher level of turnout would have benefited Graci Garces in the runoff – given the margin of victory in District D, I don’t think any level of turnout could have helped Georgia Provost – or one of Jenifer Pool and Rogene Gee Calvert in November. As for the effect on Mayor Parker and her agenda, I look at it this way: Mayor Parker swapped out two troublemakers in CMs Brown and Burks, and got back only one potential troublemaker in CM-elect Kubosh in return. I’m thinking she’ll take that deal. While I do think the results of this year’s elections are not predictive of future elections, that doesn’t mean that the current makeup of Council should be accepted without any need to do things differently next time. Cindy Clifford, who runs a Houston-based public relations company, said she plans to start a group to empower promising women in Houston to consider public office and donate to female candidates. She said women have a harder time raising money and asking for things for themselves. She said she hopes to inspire confidence in promising female leaders. Having good candidates run and ensuring they get the support they need is always a fine idea. If you find the lack of women on the new Council troublesome, now is an excellent time to start working on a solution for 2015. Is CM-elect Stardig term limited or not? I brought this up yesterday in my wrapup of the city and HCC runoffs, and I’m asking it again here in the hope that someone who can provide a definitive answer will offer one. The question I have is whether or not CM Brenda Stardig is eligible to run for re-election in 2015. As I noted in that post, CM Stardig’s position is similar to that of former CM Jolanda Jones, who flirted with the idea of running in District D this year, thus igniting a stir over whether or not the term limits law allowed for her to run. The law says “No person, who has already served two full terms, shall be eligible to file for that same office.” City Attorney David Feldman interpreted that to mean that Jones could not run again, since she has served two full terms. My initial reaction was that Stardig was in the same kind of boat, but thinking about it again now, she’s not. If Stardig were to run for a third term, she would file for that election prior to serving out her second term, thus meeting the requirements of the term limits ordinance. A Houston Politics post from 2012 that includes a copy of Feldman’s position supports that view. In practical terms, that means that if you’re an incumbent Council member and you must lose an election, better it to be after your first term than after your second. You can win one, lose one, then win two more, but if you win two and then lose one, you’re out of luck. In other words, Helena Brown and Andrew Burks could come back and wind up serving three terms on Council just as Stardig could, but Jolanda Jones and Al Hoang are finished as Council members, though they could still run for Controller or Mayor. All that assumes you accept Feldman’s interpretation, which Jones at least said she didn’t. I have to say, while this may be technically correct, it feels wrong to me. The clear intent of the term limits law was to restrict Council members, Controllers, and Mayors to three terms. It’s possible there was some discussion at the time of whether or not those terms had to be consecutive or not – it’s been a long time, I sure don’t remember – but even if there were I’m willing to bet that the prevailing opinion among city voters would overwhelmingly favor the simple “three terms and you’re done” perspective”. I presume that sooner or later this is going to need to be settled by a judge, or by a fix to the ordinance being passed by the voters. Be that as it may, I feel confident that the subject will come up again, any time the subject turns to Stardig and her possible re-election effort in two years. One reason why this may matter, beyond the simple effect on folks like Stardig and Jones, was vocalized by Texpatriate, who wondered “if Brenda 2.0 becomes super conservative just to placate some of her angry, right-wing constituents”. Maybe the odds of that are greater if she has the option to run for re-election – she might emulate some of CM Brown’s positions in order to protect herself against a third matchup with Brown, for example. No guarantee she’s behave this way – Stardig might well conclude that there are limits to the crazy in District A, and her successful comeback is proof of that. Regardless, it’s not unreasonable to think that a term-limited Stardig could be a different Council member than a Stardig who has one more campaign to go. So that’s my question. Writing this has led me to what I think is the technically correct answer, but I’m not convinced that the matter is settled. What do you think? I have no complaint about the results. With all precincts reporting, controversial first-term council incumbents Helena Brown, in northwest Houston’s District A, and Andrew C. Burks Jr., in At-Large Position 2, fell to their challengers, as did HCC trustees Yolanda Navarro Flores and Herlinda Garcia. 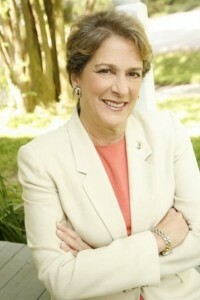 Brown lost her rematch with Brenda Stardig, the incumbent she defeated to gain the seat two years ago. Burks fell to challenger David W. Robinson, a civic leader and former city planning commissioner. Robinson raised far more campaign cash than did Burks, who had run unsuccessfully numerous times before winning his seat two years ago. Both men were among the 10 candidates who sought the post when it was an open seat two years ago. In the At-Large 3 runoff, bail bondsman and civic activist Michael Kubosh, best known for leading the charge against Houston’s red-light cameras, topped former Harris County Department of Education trustee and former mayoral candidate Roy Morales. In south Houston’s District D, lobbyist Dwight Boykins bested businesswoman Georgia D. Provost. Boykins had thumped the 11 other candidates in fundraising heading into November. 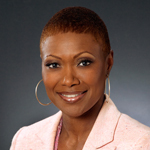 Term-limited District D Councilwoman Wanda Adams was elected to the Houston ISD board. In a very low-turnout race in the East End’s District I, Harris County jailer and civic activist Robert Gallegos beat Graci Garcés, who is chief of staff for the term-limited James Rodriguez. So I was three for four in my prognostications. I can’t say I’m unhappy to have been wrong about District A. I am curious about one thing, however, and that’s whether or not Brenda Stardig is eligible under the term limits amendment to run for election again in 2015. If you consider her situation to be analogous to that of former CM Jolanda Jones, and you go by the interpretation given by City Attorney David Feldman, the answer would seem to be No. I made an inquiry about this with the City Attorney’s office several weeks ago, but they have never gotten back to me. Guess I need to try again. Anyway, congratulations to CMs-elect Stardig, Boykins, Gallegos, Robinson, and Kubosh. In the Houston Community College contests, District 1 incumbent Flores lost to challenger Zeph Capo, a vice president of the Houston Federation of Teachers. In District 3, Adriana Tamez, an education consultant, beat incumbent Garcia, who was appointed to the post after the resignation of the prior trustee. In the runoff for the open District 5 seat, businessman Robert Glaser topped commercial real estate agent Phil Kunetka. Capo over Flores is a huge step up, and Tamez is an upgrade as well. Both Flores and Herlinda Garcia were palling around with Dave Wilson, so having them both lose makes the HCC Board of Trustees a better place. Major congrats to Zeph Capo, Adriana Tamez, and Robert Glaser. See, that’s the kind of pattern I was expecting for the November election. I guess the turnout was too high for it. Gotta tip your hat to whichever candidate’s mail program generated all those votes. It’s good to be surprised sometimes.